From elementary chemical reactions to exciton dynamics in solar cells, chemistry is a particularly rich field for atomistic simulation. 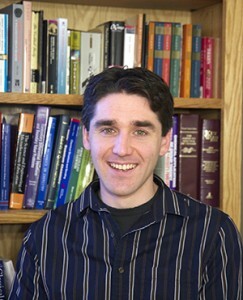 Research in the Zimmerman group develops and employs a broad spectrum of computational techniques to chemical problems. Special emphasis is taken on creating new, practical computational methods for application to problems that are considered out-of-reach to standard simulation methodologies. For instance, automated prediction of chemical reactions has long been considered impossible using quantum chemical simulation. To break this limitation, the Zimmerman group is creating new techniques for locating reaction paths and products of catalytic reactions, with the goal of predicting the outcome of reactions prior to experiment. These tools use a combination of chemical intuition, applied mathematics, and massively parallel computation to achieve an impressive level of automation and predictive value. Automatically generated growth pattern of a chemical reaction network involving a hydrogen storage material, NH3BH3.